OTTO is a leading designer and manufacturer of electrical products used in diverse industries such as aviation, construction, and even the military. It has two divisions – OTTO Controls and OTTO Communications. Softweb Solutions helped OTTO by migrating all the company websites to Sitecore Cloud on Microsoft Azure. We also developed cross-platform product catalog application to help sales representatives conduct meetings and presentations anywhere. 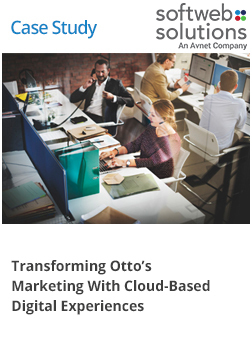 Our solutions have helped OTTO in enhancing the customer experience across all channels, increase visitors, conversions and built a better, more integrated marketing platform.